Thank you for making Carmen, the Tango a success! We both very much enjoyed your CARMEN: the Tango production Lorita, it was absolutely, utterly and completely magnificent!! I say this, as it brought tears of love to my eyes in the last few minutes! The roles, the costume, the sound, the lighting, the colors, the movement, the expression, the telling… the entire event was magnificently precise and suffuse with fulfilling engagement! Ahem… Well done, to say the least. 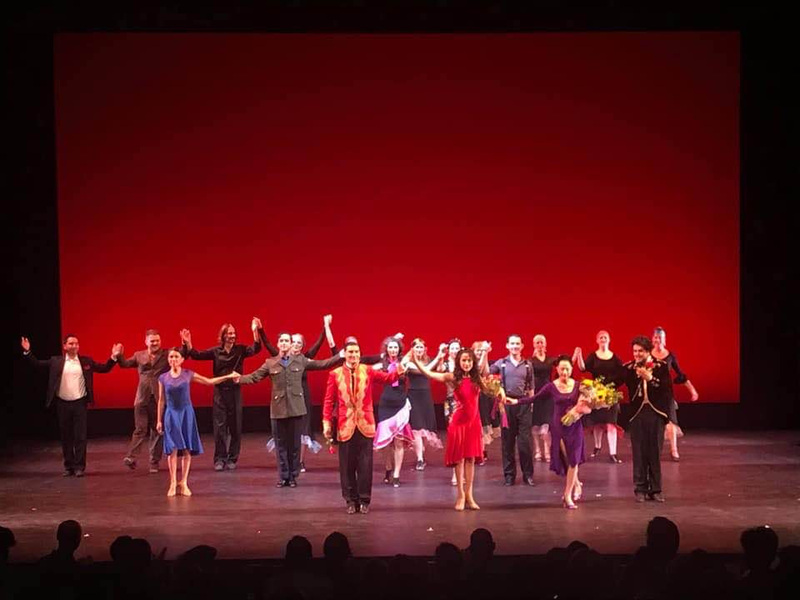 Thank you for your support through individual donations and attending “Carmen, the Tango” last weekend! The feedback has been extremely positive and many are saying that this show must go on the road. There is already interest to have the show in Sacramento and Miami. This can only happen if there is a sponsor to help underwrite such an endevour. Parasol Arts is unique in that it produces more than the typical Argentine Tango show. “Piazzolla en sus Palabras” told the story of Astor Piazzolla’s life and “Carmen, the Tango” brought the emotion and tragedy of the story of Carmen to life using Argentine Tango. Parasol Arts presents the famous story of Carmen using the sensual and passionate language of Argentine Tango. Argentine guest artists, Donato Juarez and Marcelo Molina join the spectacular Diana Cruz in the leading roles. The scenario centers on Carmen, Don José, and the bullfighter Escamillo. Carmen is a free spirited gypsy in contrast to the temperamental and fickle Don José. Fate, a representation of Carmen’s alter ego, tells Carmen’s fortune with a deck of cards. A fight with Don Jose’s fiancé, Michaela, leads to Carmen’s arrest by Captain Zúñiga. In jail, she seduces Don José and convinces him to release her. Carmen is subsequently caught in a love triangle between Don José and popular bullfighter Escamillo. Captain Zuniga and Michaela disapprove of the unconventional behavior of Carmen and her lovers. Carmen dances alternatively with Escamillo and Don José until she is stabbed. She dies caressing Don José’s face, revealing him as the assassin.